I'll start with the product that I expected to like the most - Glow On Demand. This is described as an energising illuminator and we all know that I'm all about that glow! It has a light gel/cream texture and a slight champagne hue to it and the description states that it is the perfect pick-me-up for any time of the day and can be worn alone and under or over makeup. I have to say that I don't really get how this could be worn over makeup without disturbing the base. I have used this on no makeup days and also under my foundation and whilst I like the glow it gives, I have a problem with it. Every single time I used it, it pilled - something I hate! If you don't know what pilling is, it means that it forms little balls on the skin. That's not to say that it won't work for others but this is the only product of the three that I don't like so I thought I would get it out of the way first! Next up is my favourite of the three products: Sunday Detox. This is a peel off, whipped clay mask that is housed in a bottle and is dispensed like a mousse. It's important to shake the can fully before pumping out a generous amount and applying to the face, avoiding the hairline and eyebrows (removing that would be painful!). It is then left for around 15 minutes and it sets fully in this time. It is removed by peeling it off - I have yet to be able to remove it all in one piece but I am getting closer to that! This mask leaves my skin looking really clear and it is keeping my blemishes at bay because it draws out all of the impurities. The result is translucent skin that feels really soft with refined pores. I will continue to use this on a weekly basis. Finally, I have been using Fully Charged. This is a 2 in 1 serum and moisturiser, that is perfect for people who are very short on time in the morning or for travelling to save bringing too many products. I was unsure if this would suit my dry skin or be hydrating enough but it has surprised me. It has quite a light texture but packs a punch in terms of hydration due to the hyaluronic-amino complex it contains. It isn't greasy at all and it absorbs immediately. I like to use this as part of my morning routine and think that when it comes to Spring, I will use it on a daily basis but for Winter, I will need something with a little more slip. That being said, it would be perfect for daily use throughout the year for those with normal or combination skin. I really like the bright packaging as purple is one of my very favourite colours. It isn't overly girly but not at all clinical and it's functional. Overall, I like the products and would be interested in trying more from the brand. My favourite is the Sunday Detox mask - is there anything more satisfying than a peel off mask? 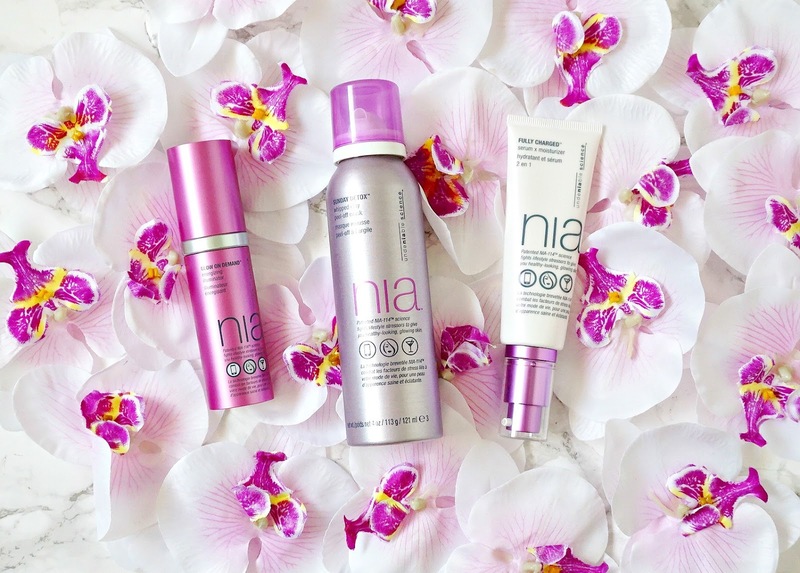 Have you tried any Nia products? I'd love to hear your thoughts! All products are bought by me, unless otherwise stated. This post is not sponsored, however the three products were sent to me. Opinion is always my own.